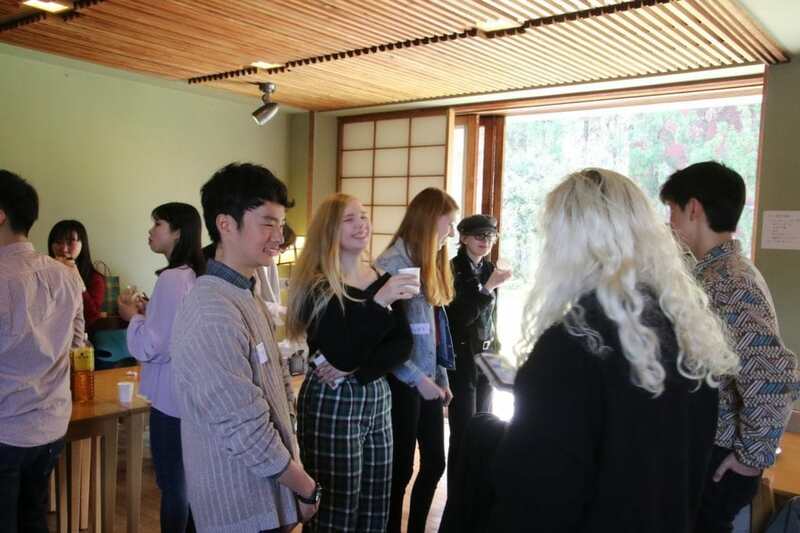 Students in Oyama-sensei’s class are learning about the history of Kyoto. 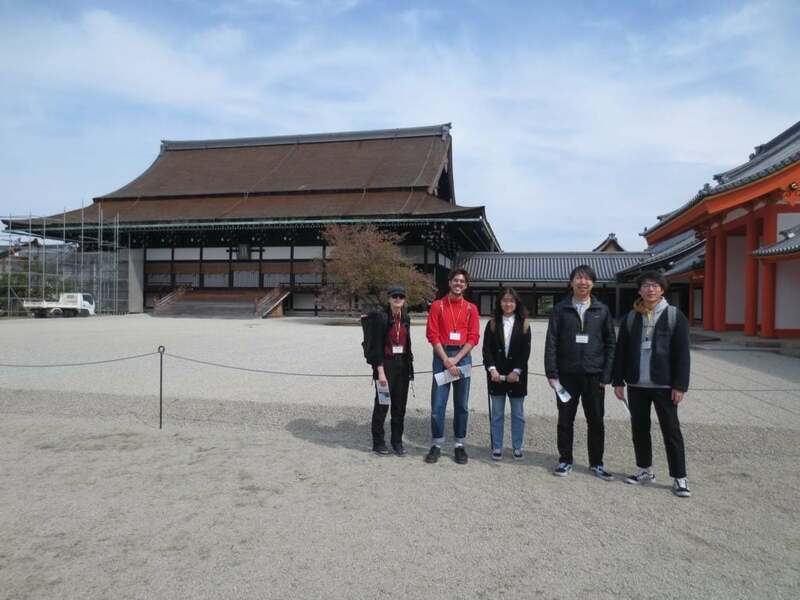 What better a place to hold class than the Imperial Palace, just steps from Doshisha campus? 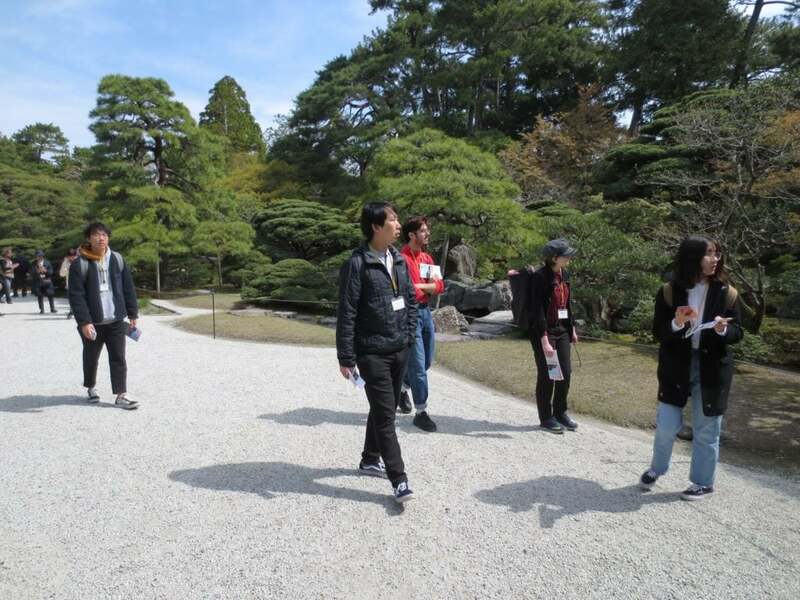 Students walked through the gardens and visited Shishinden (Hall for State Ceremonies). 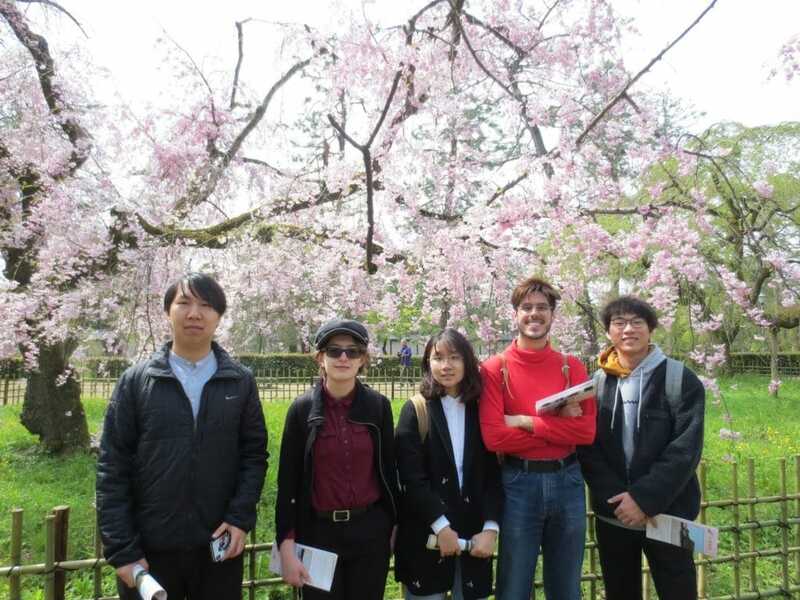 The cherry blossoms were still blooming! 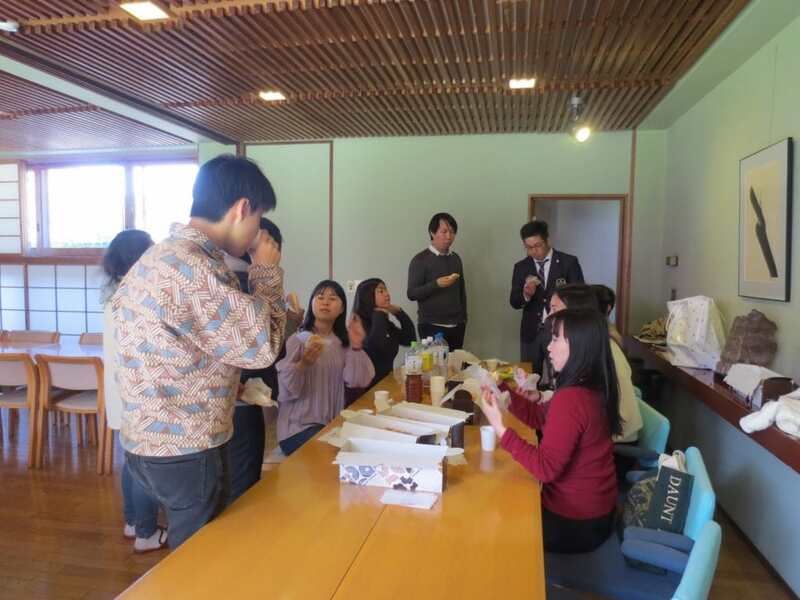 Today we had the last Language Table for Spring semester. 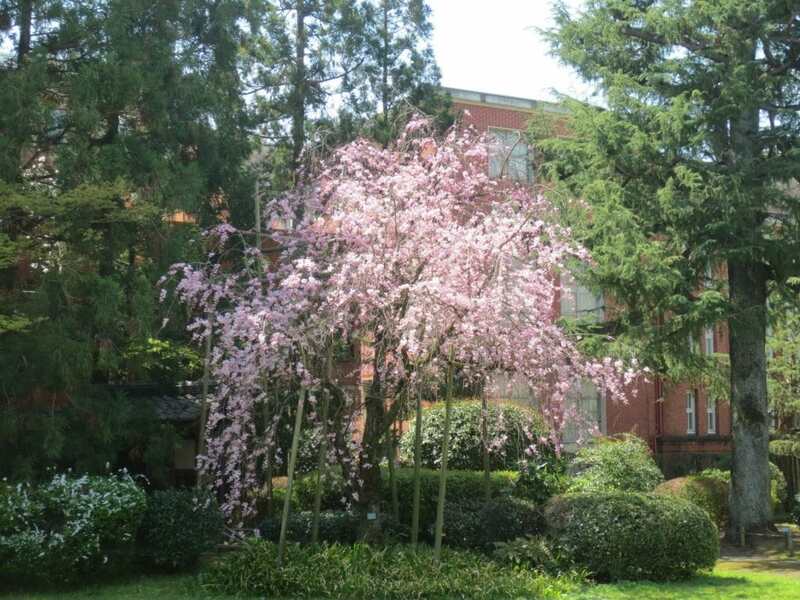 As usual, the event took place at Amherst House — a prime spot for cherry blossom viewing! 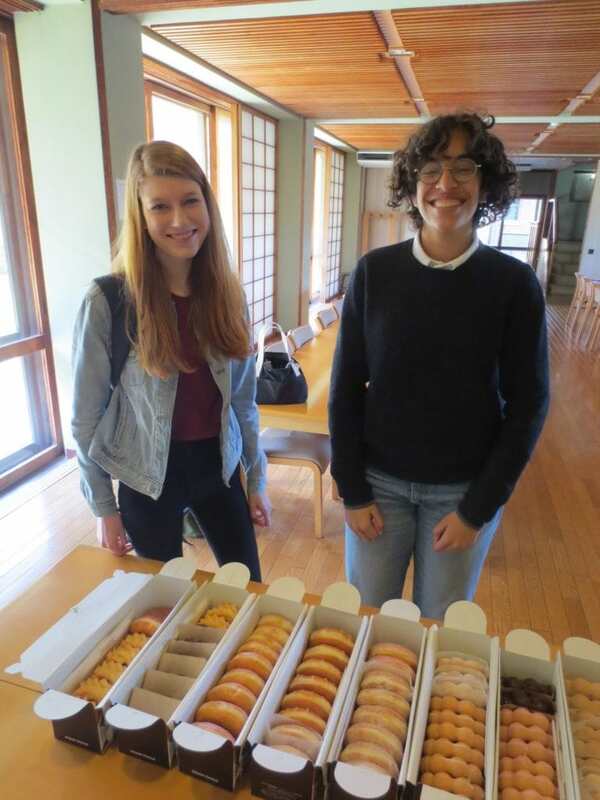 Doughnuts are another big tradition for the end-of-semester Language Table. 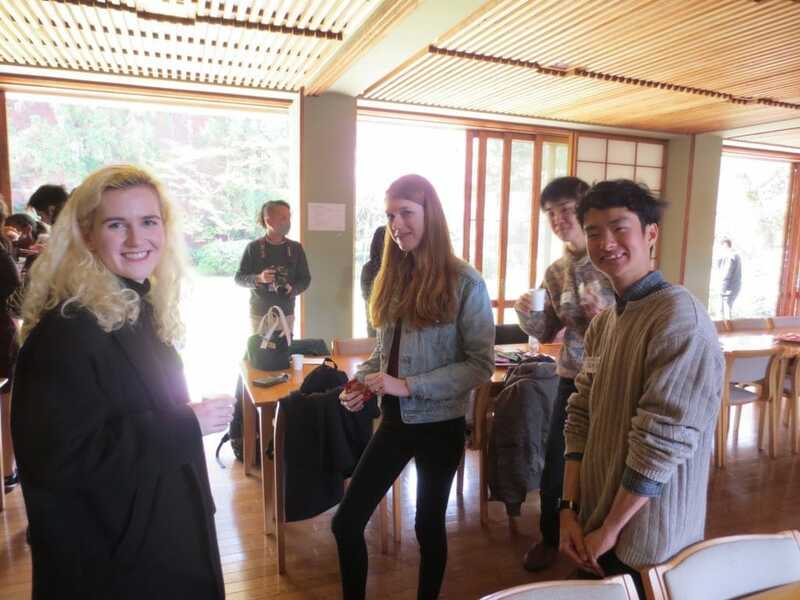 Big thanks to Indrani and Hazel for helping out with the preparations! 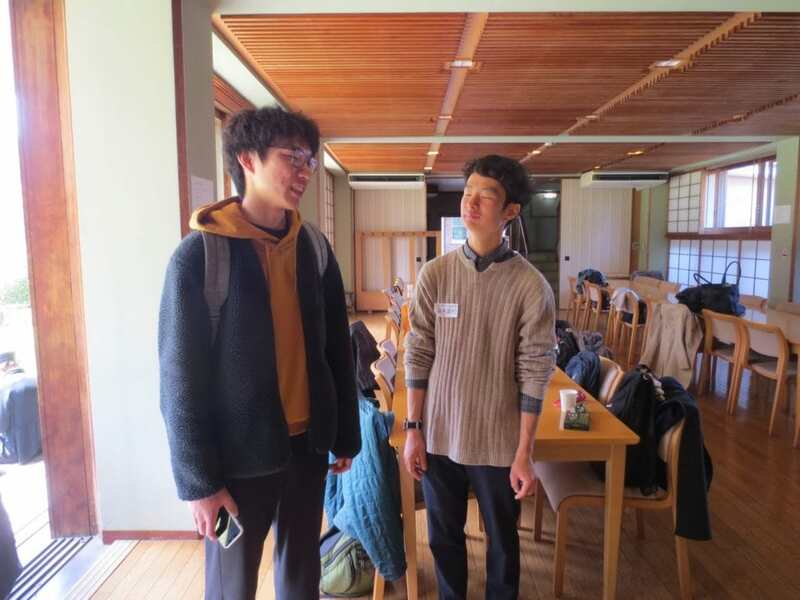 Many Doshisha students stopped by, and everyone had a great time. 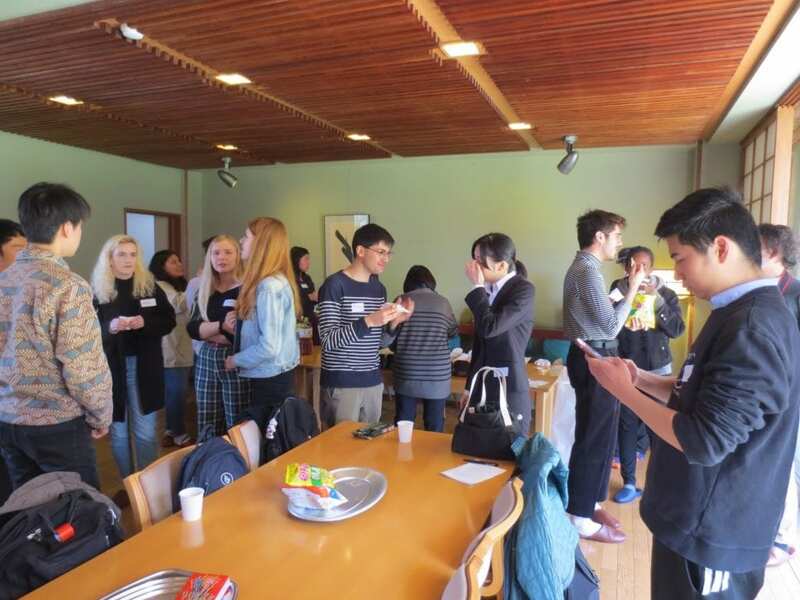 Some students exchanged contact information, so hopefully everyone will keep in touch even after the AKPers return home! 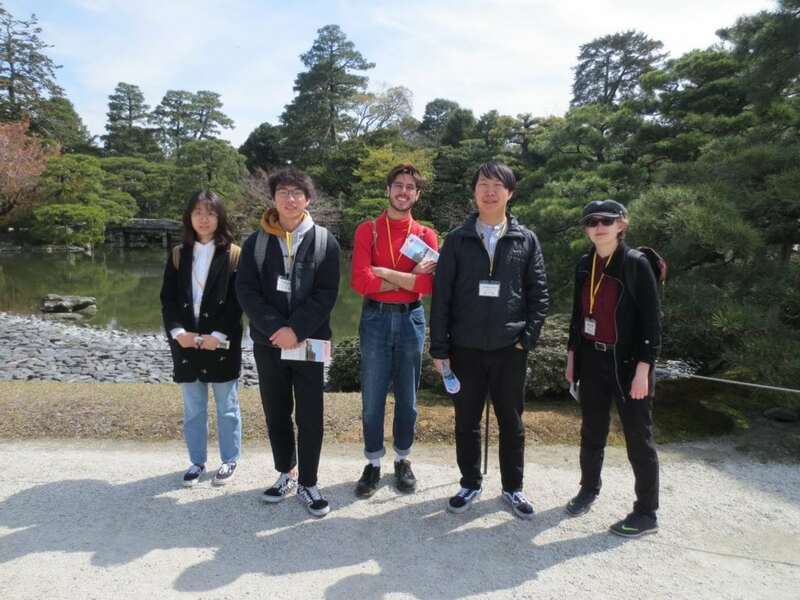 Every Spring, AKP gives our full year students 50,000yen (roughly $500) to explore Japan. 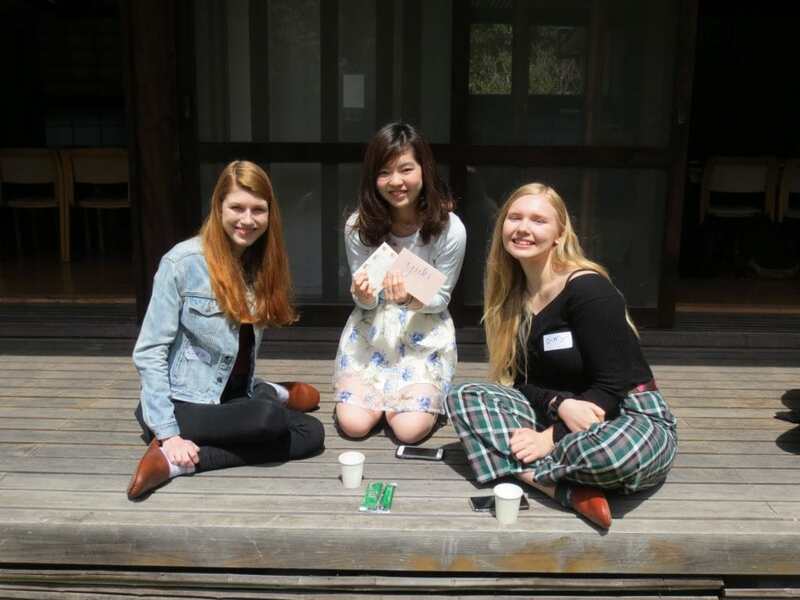 These 一人旅 (hitoritabi — solo trips) challenge students to make travel plans all on their own, and many students report what a great confidence boost it was to know they were able to navigate Japan, in Japanese, by themselves. 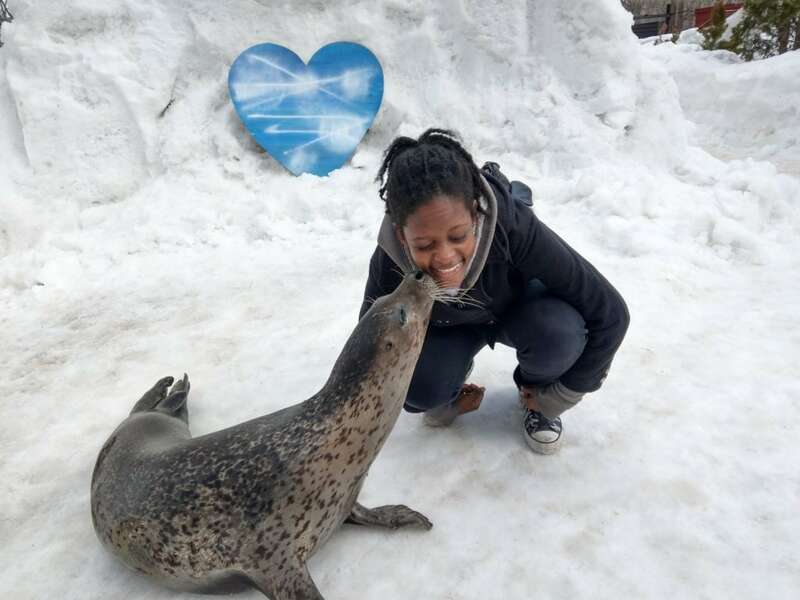 Tabreya Ryan (Colby) made a new friend at North Safari Park in Sapporo. 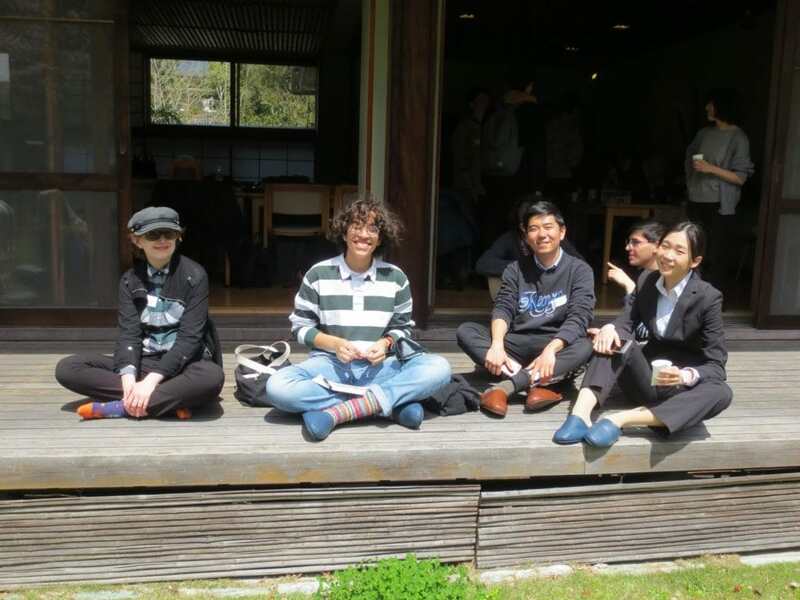 Han Liu (Wesleyan) visited Owakudani in Hakone, a volcanic valley and hot spring. 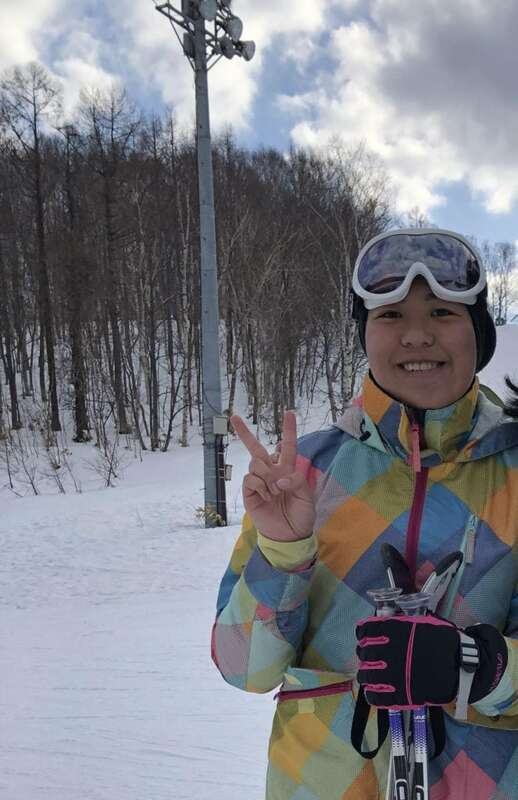 Sam Wong (Whitman) took ski lessons with a Japanese instructor. 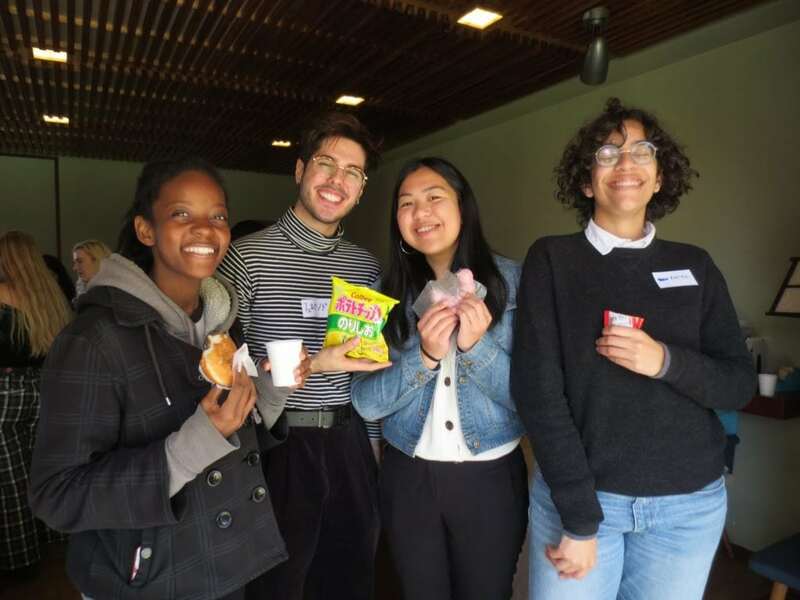 Jennifer Rivera-Montes (Smith) visited Mt. 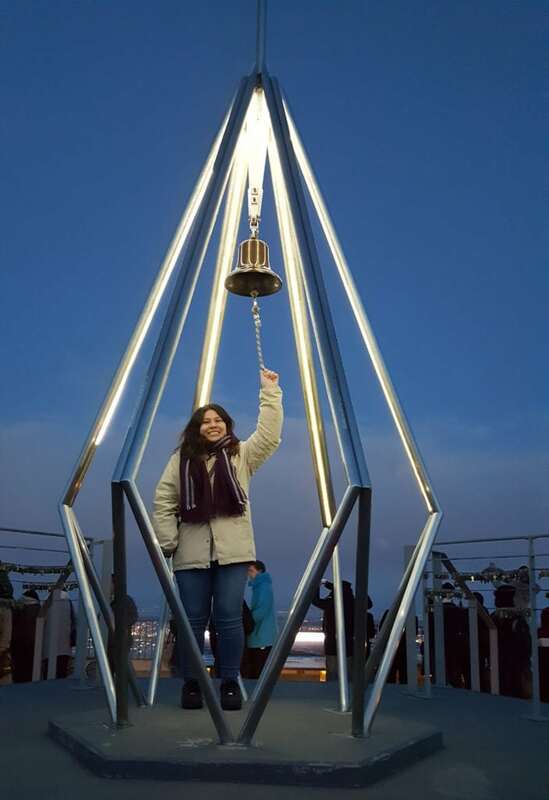 Moiwa in Hokkaido and rung the bell at the top for good luck. 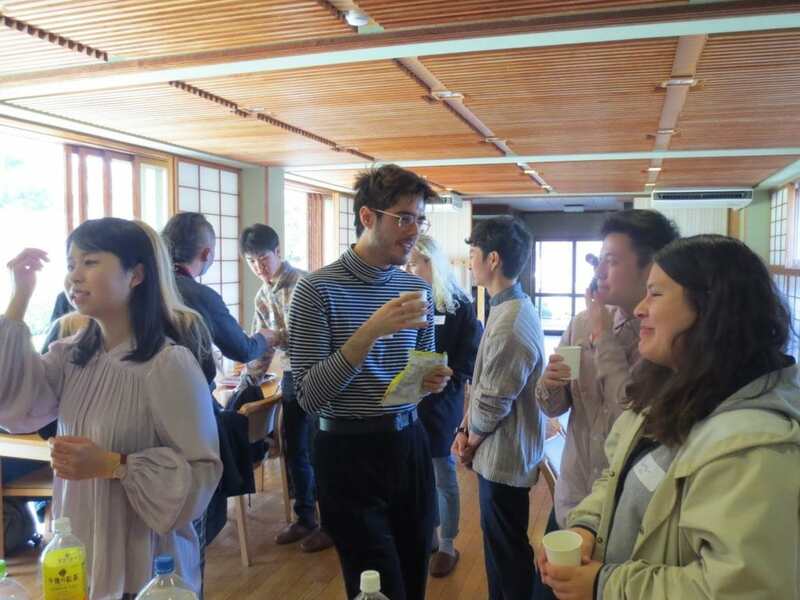 Upon their return, students gave presentations in Japanese about their trip. 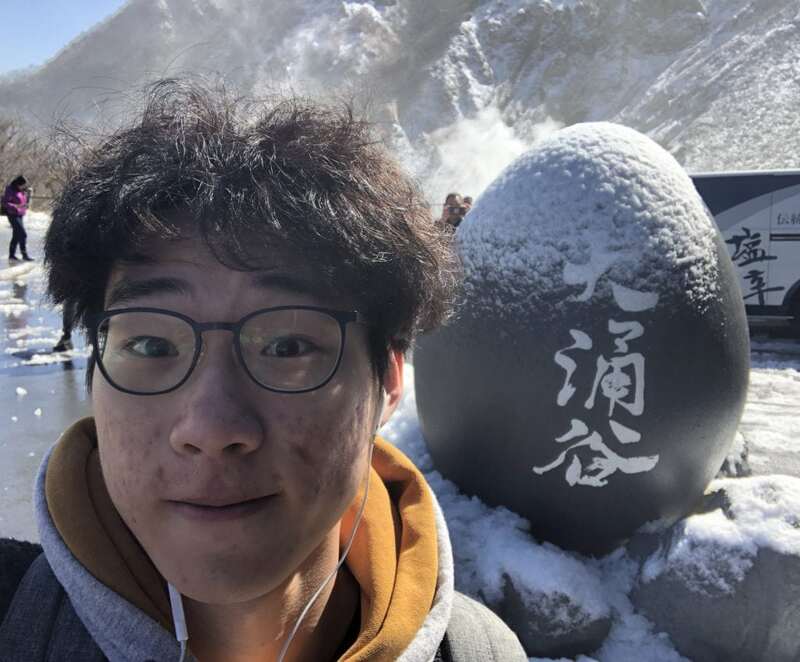 Great job, guys!